Jobline Staffing have the pleasure of working in partnership with Cornwall Housing as their Master Vendor Recruitment agency, supplying and managing their temporary staff. Cornwall Housing are a company owned by Cornwall Council that is charged with managing and maintaining the 10,500 council houses in mid and east Cornwall. 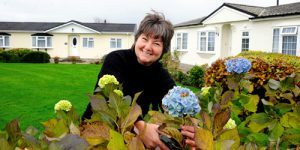 Cornwall Housing look after about 300 leaseholders on behalf of the Council and manage other garages, shops and land in neighbourhoods with council housing. As well as own 56 homes for social rent that they recently built. Cornwall Housing also deliver the Homechoice and Housing Options and Advice service for the council. Jobline Staffing’s role is to support and manage all temporary staffing requirements that arise across these diverse business areas, whilst managing a list of tiered agency suppliers to ensure that suitable candidates with differing skills, competencies and experience can be sourced to support the ever changing business requirements.